Paul G. Harris (www.paulgharris.net) is the author/editor of many books on global environmental politics, policy and ethics. Much of his work focuses on climate change. He is the Chair Professor of Global and Environmental Studies at the Education University of Hong Kong. 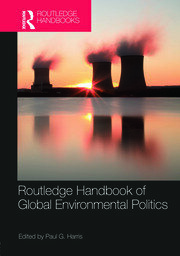 Paul G. Harris is the author/editor of many books on global environmental politics, policy and ethics. Much of his work focuses on climate change. He is the Chair Professor of Global and Environmental Studies at the Education University of Hong Kong.